We drove north and stayed in an odd sort of inn. 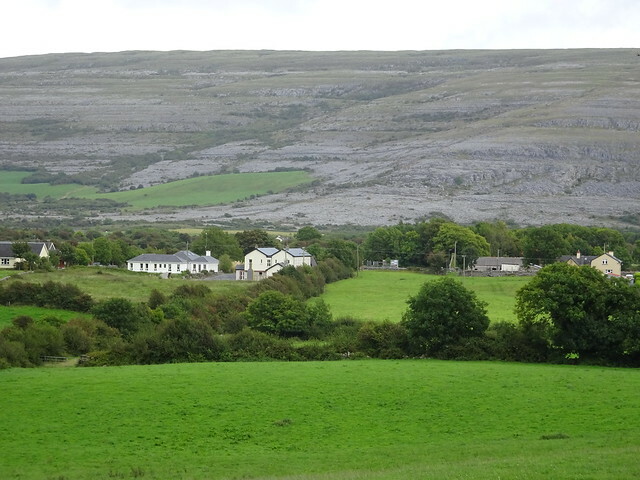 The views were beautiful - across farmland to the rocky hills - The Burren. 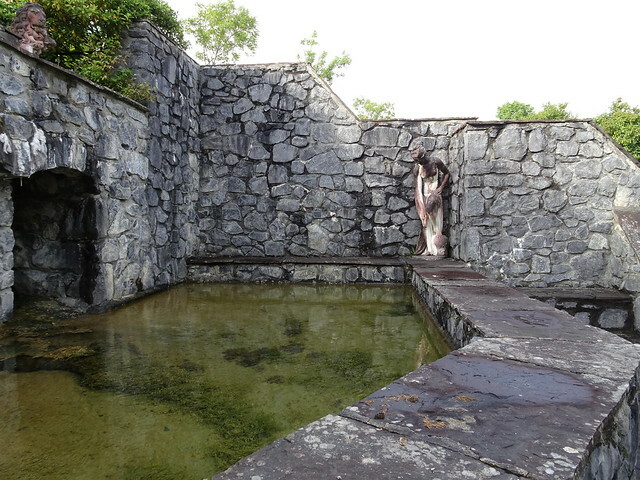 The hotel takes its name from the wells - the natural springs that bubble up from limestone caves. You can hear water run in different parts of the property. 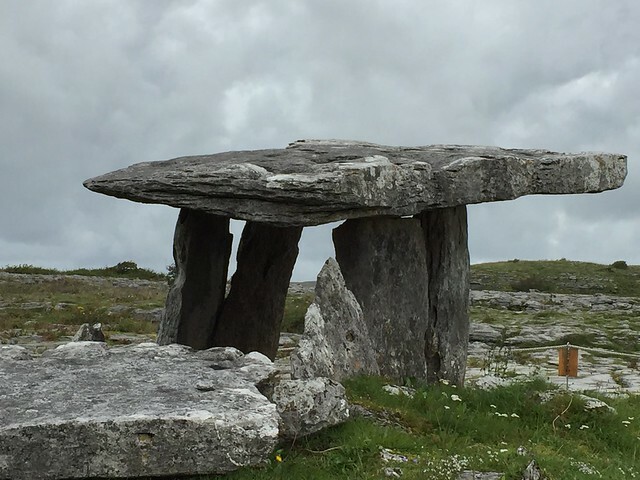 It dates back to the Neolithicperiod, probably between 4200 BC and 2900 BC...With its dominating presence on the limestone landscape of the Burren, the tomb was probably a centre for ceremony and ritual until well into the Bronze Age period. It may have also served as a territorial marker in the Neolithic landscape on the important north-south route from Ballyvaughan bay to Kilnaboy. 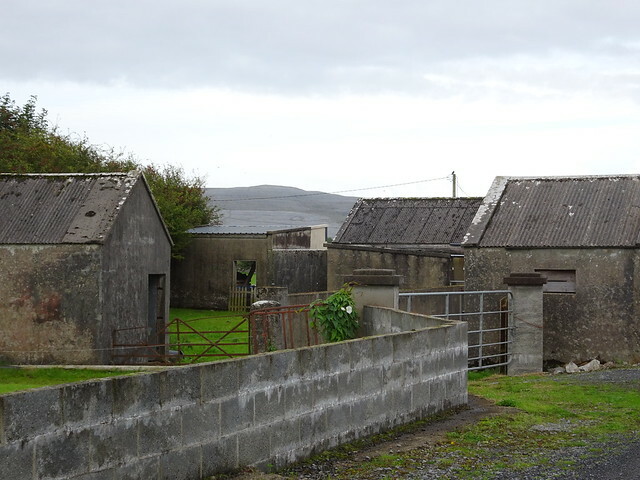 It is possible that the inhabitants of extensive settlements near Kilnaboy erected the structure to delimit the northern border of their territory. 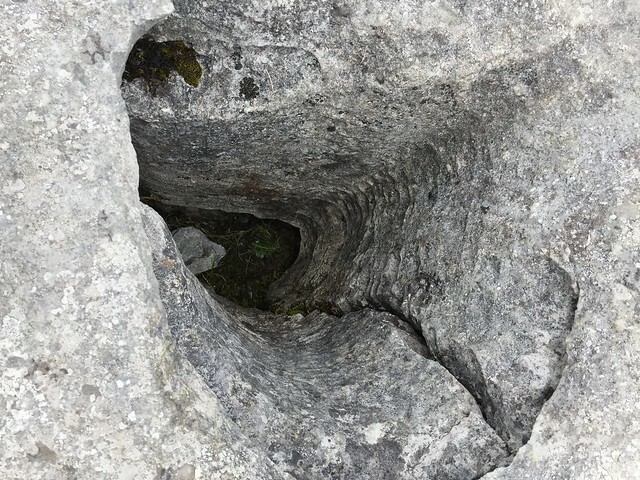 Some of it is sculpted by weather and water. 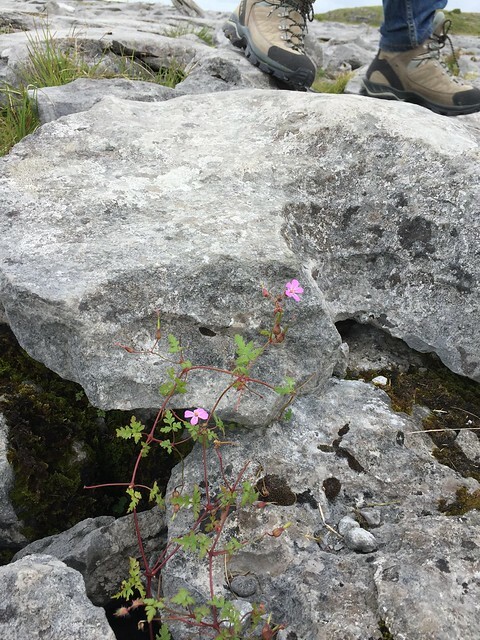 Small flowers grow in the spaces - each area a mini micro-climate. 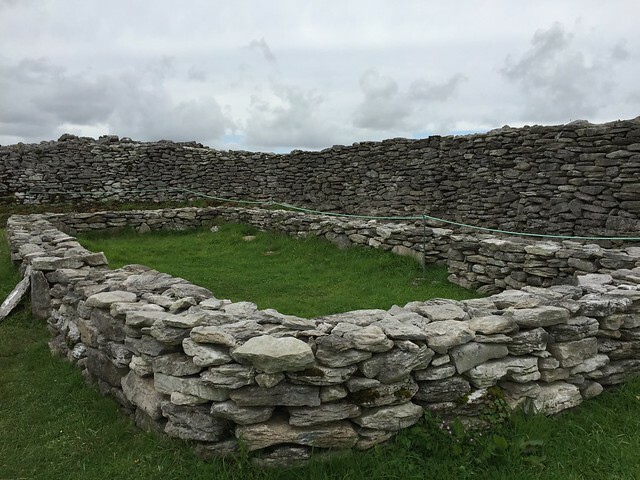 We stopped at Caherconnell - a ringfort or enclosed farmstead. It dates from some time in the 10th century and was probably inhabited by a high status family. It was used right into the eighteenth century. The surrounding wall still exists. 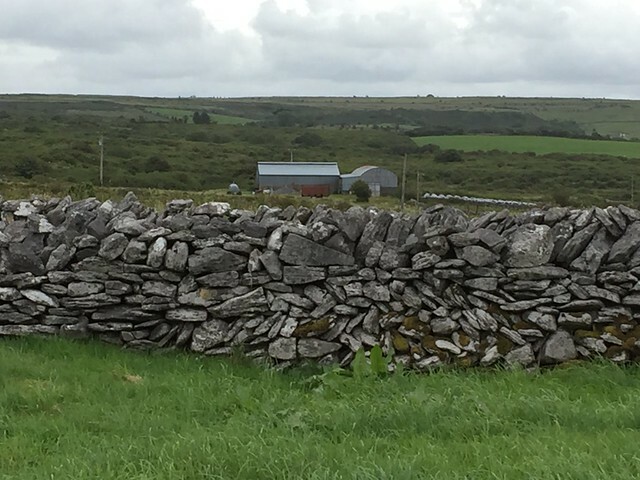 Stone walls in Ireland are built in a number of different styles. This was the first time we encountered walls built with vertical stones as well as horizontal stones. Near our hotel the remains of Newtown Castle are situated. While the base is square the tower is cylindrical. It probably dates from the late 16th century. 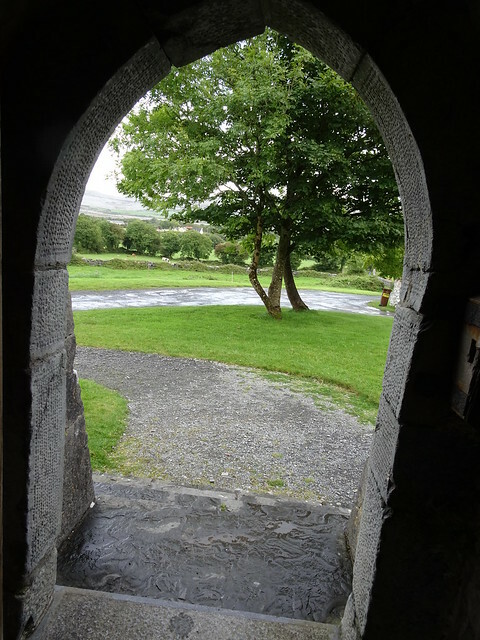 I liked the way its doorway framed the surrounding countryside. A number of farms are located nearby. Sheep and cows inhabit the pastures. In the afternoon and evening we could hear them lowing. (Make sure your sound is turned right up). We were staying not far from the coast (Galway Bay). 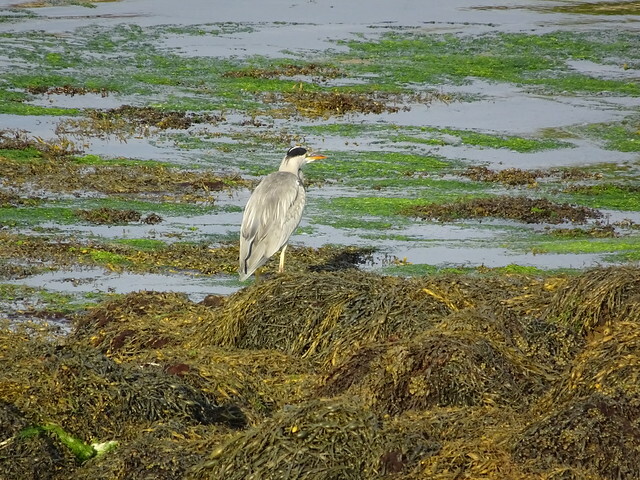 At low tide, this heron was hoping for a tasty dinner. 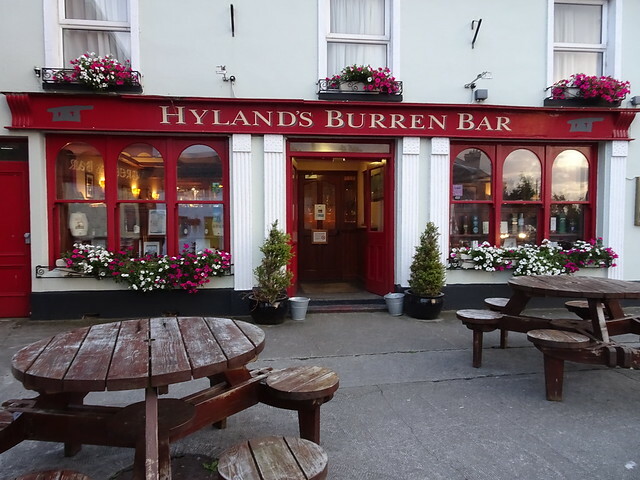 As everywhere else in Ireland, pubs abound. 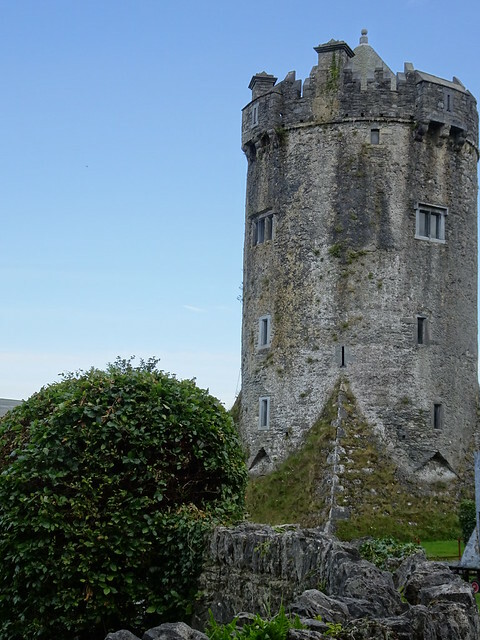 Ireland is a land of green and stone (and pubs)! 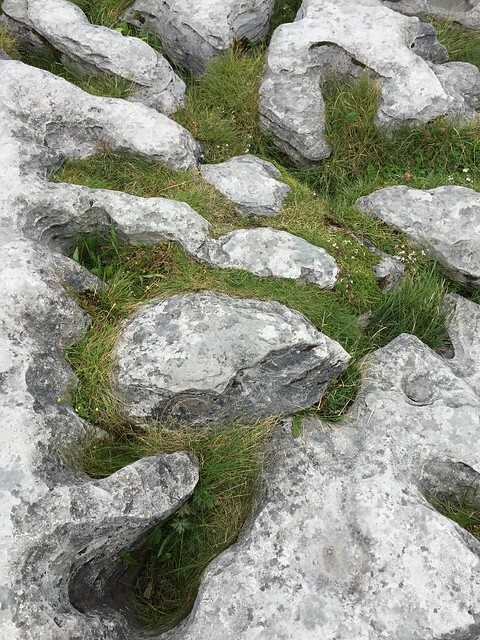 Burren looks like made of green and karst landscape. I like limestone. I’m interested in stone walls without mortar. How to pile up stones is different from Japanese way. I enjoyed your lovely travelogue.